A custom order. I love things like this, knives I know that are going to be used and appreciated for their beauty and usability. 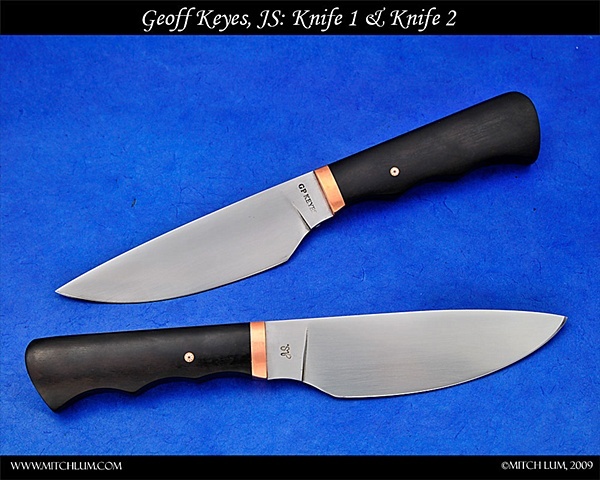 African Blackwood burl, copper spacers, and copper mosaic pins dress up two hand forged, nearly identical blades.